Wild pitching and a six-error game are memorable enough. But with the offense rolling (mostly), here are the big takeaways from Chicago's funky beginning to 2019. Yu Darvish struggled mightily in his first start since May, walking a career-high seven batters while throwing 75 pitches before getting pulled against the Rangers. 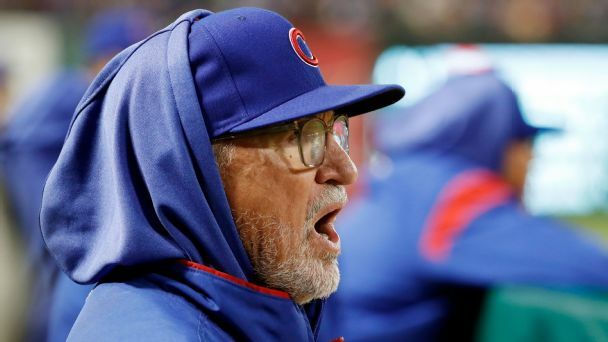 Cubs starter Yu Darvish says a blister that opened up during a spring game Tuesday won't set him back for the start of the regular season. 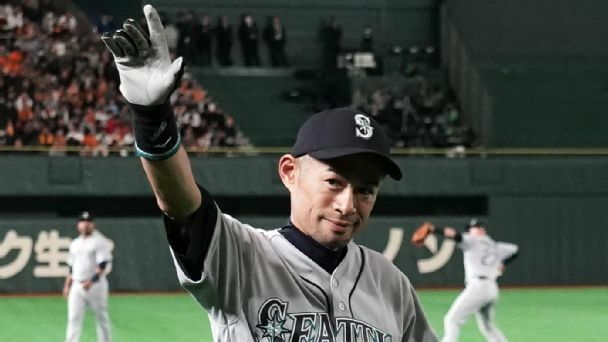 We checked in with Ichiro Suzuki's countrymen about the importance of MLB's regular-season return to Tokyo and his role. After dealing with various arm injuries and trying to adjust to a new team, Yu Darvish was pleased with his spring debut. Pumped, in fact. 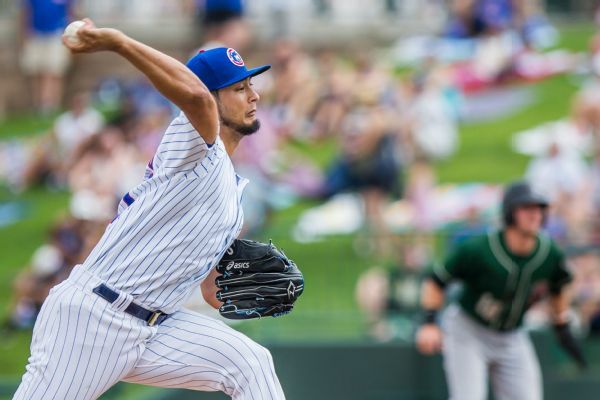 Cubs pitcher Yu Darvish said he felt pressure to deliver after signing a big contract last season, but this year he just wants to be himself. 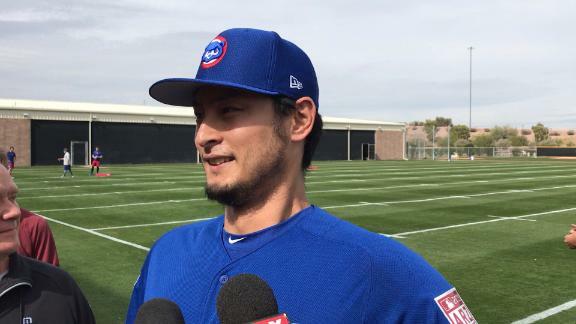 Yu Darvish discusses his physical and mental state heading into the 2019 season and weighs in on the prospects for the Cubs' rotation this year. 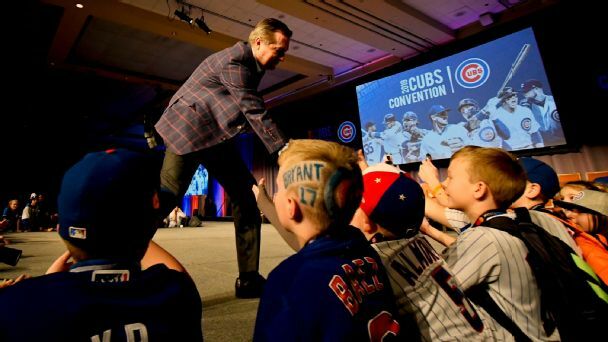 A World Series winner two Novembers ago, owner Tom Ricketts' team still has a championship core. But the Cubs haven't done much to build on that this offseason. 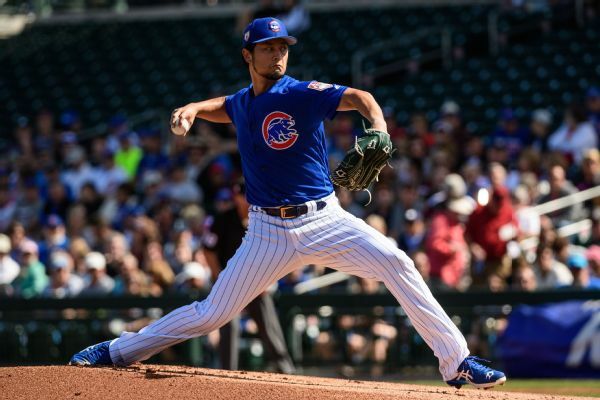 Cubs pitcher Yu Darvish said Thursday that until doctors diagnosed him with a stress reaction in his right elbow, he had concerns that the pain he was feeling was a "mental weakness." 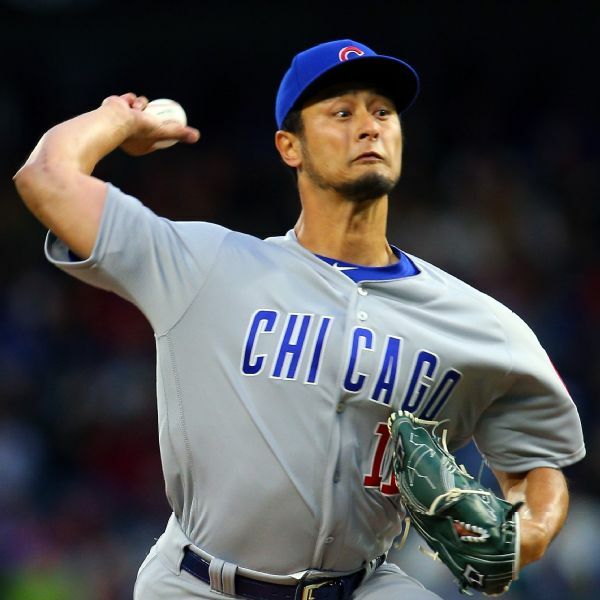 A stress reaction in his elbow has ended Yu Darvish's first season with the Chicago Cubs.